•	Travel +Leisure World’s Best Award 2018 – Top 25 Resort Hotels in the Caribbean #22 •	Taste of the Caribbean 2018 – Gold, Caribbean Pastry Chef Competition (Thomas Zimmerman) •	AAA Five Diamond Award 2017 & 2018 •	Contender for Condé Nast Traveler’s “Reader’s Choice” Award 2018 •	Virtuoso “Best of the Best” Awards 2018 – Best Virtuoso Newcomer •	American Spa’s Global Spa & Wellness Awards 2018 – Best Spa in the Caribbean •	HSMAI Adrian Award 2018 Sliver – Influencer Marketing •	HSMAI Adrian Award 2018 Bronze – New Opening/Launch •	International Hotel & Property Award 2018 – Hotel Suite for Americas & Caribbean •	Global Spa & Wellness Awards 2017 – Best Spa in the Caribbean •	Travel + Leisure’s Best New Hotel’s in the World 2017 •	Condé Nast Traveler’s Readers’ Choice Awards 2017 - Top Resorts in the Caribbean #6 •	American Spa Professional’s Choice Awards 2017 – Favorite New International Spa •	CNN 2017 – Best New Restaurant, Avecita •	Spa & Wellness MexiCaribe Spa Awards 2017 - Best Spa at a Luxury Resort in Mexico, Caribbean & Latin America •	CHRIS (Caribbean Hotel & Resort Investment Summit) Award 2016 – Development of the Year •	2016 Caribbean Hotel of the Year by Caribbean Journal. You never have to go far to go shopping on your Grand Cayman vacation. In addition to the shops in town, there are many small malls which have restaurants, liquor and gift shops. Grand Cayman shopping is duty-free, which means many exciting opportunities for you to save on such things as watches, china and crystal, perfumes and fine jewelry. Whether for business or pleasure the golf courses of the Cayman Islands are waiting for you. The warmth of our sun and the cool breeze from the Trade Winds make the Cayman Islands the perfect Caribbean vacation destination for your to catch up on your golf. Enjoy a quick round while here for business or an afternoon during a family vacation. You can enjoy The North Sound Club that is open to the public and is the only 18-hole Championship course in the Cayman. Also you have The Britannia Golf Course features a 9-hole championship course or a 18-hole short course and The Ritz-Carlton Golf Club offers golfers the opportunity to make tee times at short notice and enjoy a relaxing pace of play. The course is perfect for both infrequent players who want to play at their leisure and passionate golfers who want to play multiple rounds in a single day. The Cayman Islands are proudly recognised as the birthplace of recreational diving in the Caribbean. We've been proudly showing off our spectacular underwater world since 1957 when scuba pioneer Bob Soto opened the first Grand Cayman dive shop. Today, Cayman is one of the world's top dive destinations. With more than 40 dive operations and almost 360 dive sites marked with moorings, adventurers from all over the world choose the Cayman Islands for the best of Caribbean diving. Our warm, calm waters, 100 ft. plus visibility and breath-taking variety of marine life offer a world of exciting logbook entries. Each island offers very different diving adventures for divers of all levels from novice to Nitrox and Tec diving. The Stingray City Sandbar is one of the top Cayman attractions and a must-do on your Grand Cayman vacation. Stingray City is home to a whole fleet of southern stingrays who congregate near the shore. The stingrays began gathering in the area decades ago when fisherman used to clean fish on the shallow sand bars. The stingrays would forget their normally shy dispositions and feast on the guts of the cleaned fish. Soon the stingrays began to associate the sound of a boat motor with food. In the late 1980s, divers started feeding squid to the stingrays, one of their favorites. As you enter the clear waters, the graceful southern stingrays glide tranquilly past in their natural habitat. Experience the majestic wildlife of Grand Cayman diving, standing in only three feet of water. At any time, you could be surrounded by more than two dozen friendly stingrays. An experience in Stingray City is unlike any other brush with sea life and is sure to make your Cayman Islands vacation unforgettable. Snorkelling is Cayman's greatest, easiest underwater adventure and an activity the whole family can enjoy. If you've only fantasized about peeking beneath the sea, there is no safer, gentler and more exciting place to learn this sport than in Cayman's clear, current-free waters. From toddlers to great-grandparents, Cayman snorkelling is ideal for all ages. Our skilled watersports operators are ready to teach you safe snorkelling techniques from the basic levels. You'll practically rub noses with neon fish, float over coral gardens or even stroke a friendly stingray at Stingray City! Watch a parrotfish have lunch, and help keep our beautiful Caribbean beaches covered with pure white sand! Stand up to a patrol of cheeky Sergeant Majors, inspecting you for handouts or float over the wall and marvel as divers from all over the world disappear into the breathtaking, mysterious cobalt blue waters of the Caribbean. Water is going to be easy to find on your Caribbean vacation in the Cayman Islands. The question is how to spend your time on the water. The Cayman Islands is among the best in the Caribbean and provides as many solutions to that question as you can think of. Want to relax and enjoy the waters? Consider fishing, paddle boarding, or kayaking. For those that feel more adventurous, enjoy jet skis, parasailing, and kite boarding in clear Caribbean waters, all year-round. Fly nonstop from 20 Gateway cities in North America. Only one hour from Miami and three hours or so from NYC. Every Kimpton takes you and your guest's experience personally. Your wishes inspire us to delight you in unique ways. 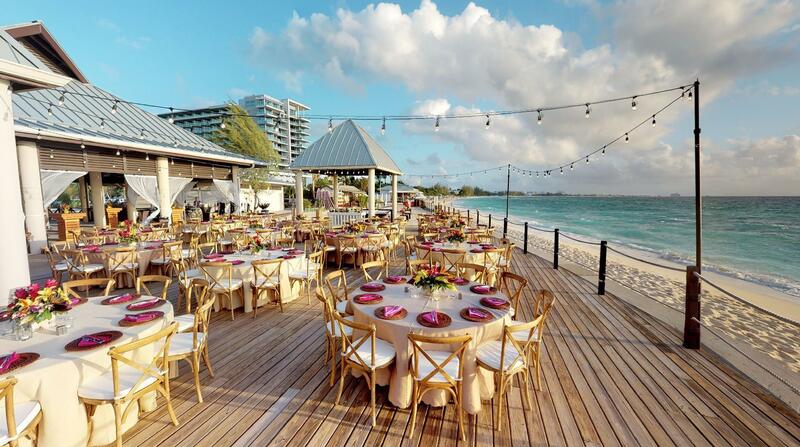 Grand Cayman’s newest resort in a decade is a modern, tropical backdrop for your next business or social gathering. 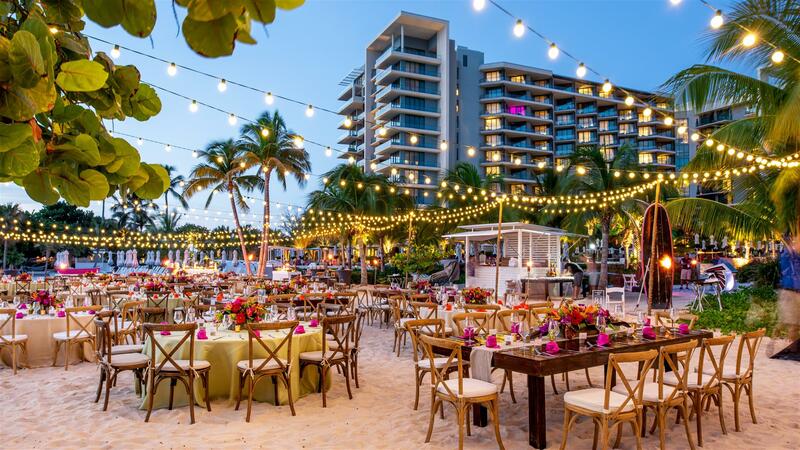 We’ve created a utopia of breathtaking event venues, some you might expect from a Grand Cayman resort, others playfully-yet-stylishly unconventional, for a total of 20,000 square feet of indoor and outdoor meeting space. 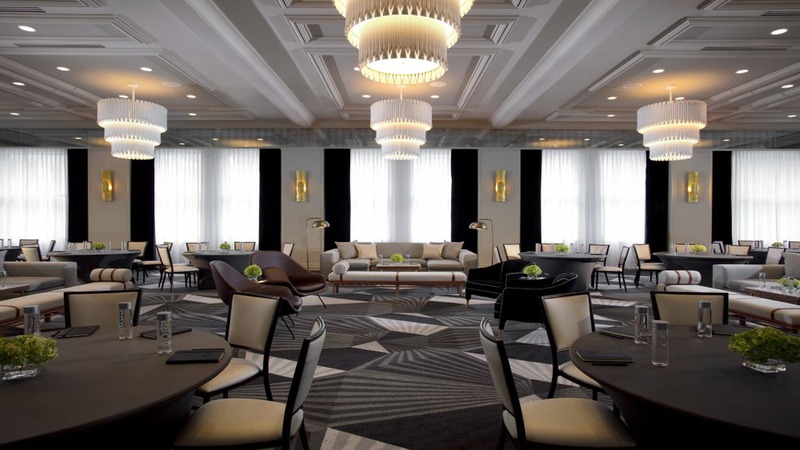 Host up to 500 guests in our 7,200-square-foot Aurea Ballroom with soaring ceilings and refined design. Cast corporate visions from our 10th-floor presidential suite, overlooking the beach and Caribbean Sea. And there’s more. A patio terrace equipped with sea breezes. The expansive Seabridge Green event lawn for day meetings or weddings. From the moment your guests arrive at our dramatic entrance — replete with contemporary silhouette, lush botanicals and ocean views — anticipation sets in....this will be an event to remember.